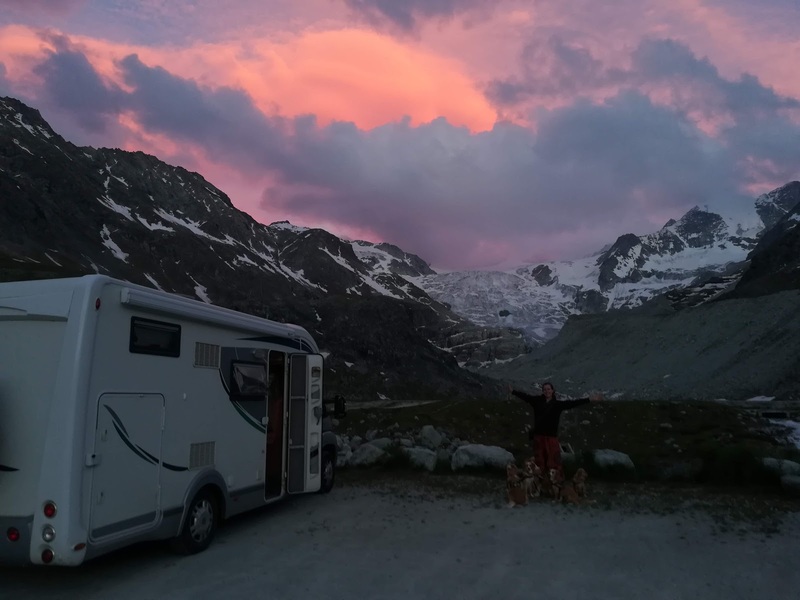 After almost a week enjoying the calm, peaceful surroundings of the Trient Valley and having enjoyed our fantastic overnight trip reliving part of our Tour du Mont Blanc adventure, it was finally time to move on. Partly it was the chilly nights and shaded, frosty mornings that eventually motivated us leave the simple, tranquil camping area at La Peuty and head back into the Rhone Valley, and partly it was just excitement to show our friend Lena another of our favourite places. 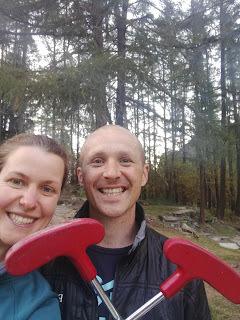 We had various options in mind such as the Val d’Anniviers, the Aletsch Glacier or the Grimselpass, all places we love to spend time, but we eventually found our way back to a place we had discovered just a few months earlier, the mountain village of Anzere. I wrote about Anzere before as a village with a little of everything on offer, from mountain trails to an inexpensive spa-like swimming pool in addition to a relaxed attitude to motorhomes parking overnight. We’d been there in late June and had enjoyed a wonderful time, hiking or cycling every day and floating around in that wonderful pool every night. 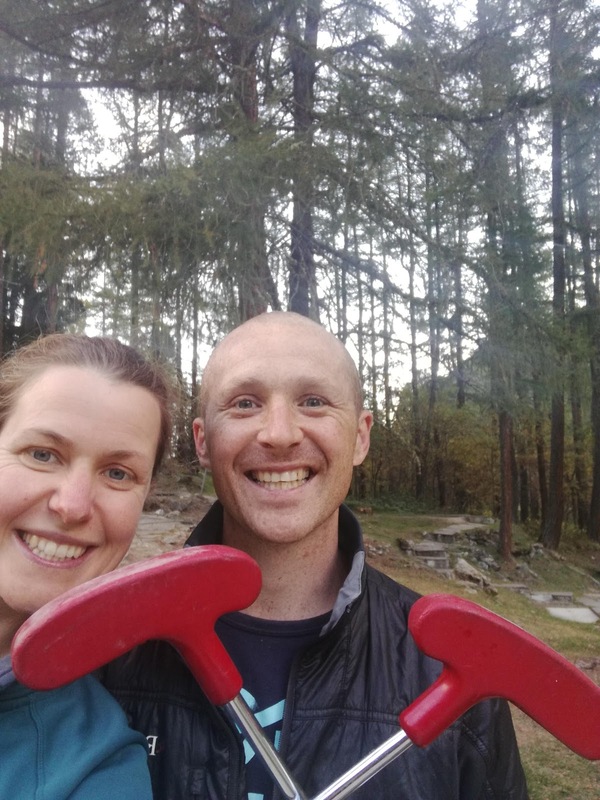 In fact, it had been in that very swimming pool that we’d met an Englishman called Tim, who lived in Australia, and who just so happened to have inherited a large and very lovely chalet in Anzere a few years earlier. 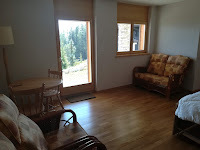 We struck up a conversation which continued for several hours, including back in the motorhome until late into the night and then went over to see his chalet the next day, receiving a very kind invite to rent the downstairs studio apartment if we ever returned to the area. Which is how we somehow managed to find ourselves living there for 12 days this September. Now, we love motorhome life. We love the simplicity, the fact that everything has a place and the way that it takes a matter of minutes to clean and tidy it. Plus, obviously, there’s also the fact you can take your life with you when you move. But sometimes, as we’ve said in the past, it’s nice to have a little break and spread out just a little and that is why Tim’s studio apartment was so perfect for us after six months of continuous touring. For the first few days Lena stayed as well, but then it was just us in a little two-room apartment with a perfect kitchen, fold-away bed and a mountain view that we couldn’t get enough of. 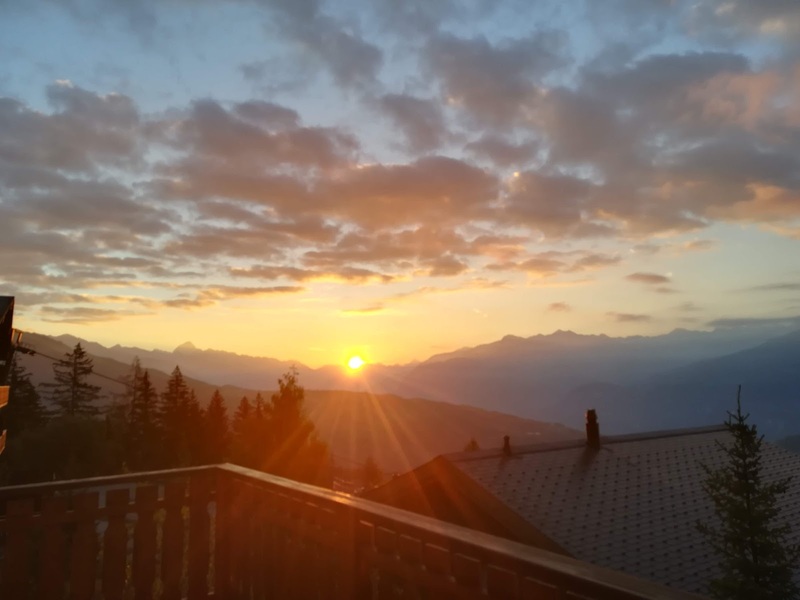 Each morning we’d see the sun rise over the Alps to the south, walk the dogs around the town and along the nearby trails as the sky lightened and then head off for a hike or trail run. Then, as the sky darkened in the evening, we’d watch the rainbow sunset give way to the stars, see the Milky Way light up overhead and climb into the comfortable bed. It was blissful. If it hadn’t been for the chalet having a booking, I think we would still be there now. That said, as we’ve experienced in the past, staying still is often also a recipe for starting to deal with things that have been pushed to the bottom of the pile while touring. Correspondence and administration, not all of it straightforward, tends to float closer to the top of our minds when we have more time on our hands, however, in this case, with such a short stay arranged, we mostly pushed it back down again. 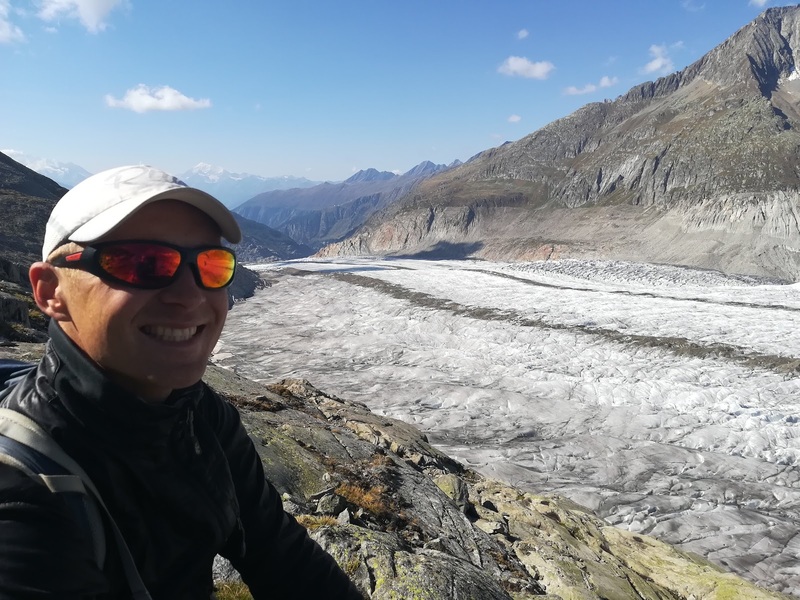 Sadly, we did have to move on, but we more than made up for it by returning for a magnificent day at the Aletsch Glacier once again. Back in July we’d bought a multi-day pass and it still had a day’s validity left to use. The “Greatest Glacier In The Alps” was shining beneath a perfect sunny sky as we looked on it for the third time this year, once again walking the Panorama Way through the day before watching the sun set over the Matterhorn from the village of Bettmeralp. Another week in the Val d’Anniviers followed, this time based in the village of Zinal where the late September sun continued to allow us out on the hills in shorts and t-shirts most days. Hiking up to the Cabane Grand Mountet, the Roc de Vache, the Corne du Sorebois and the Cabane Petit Mountet among other destinations, it was like summer had returned. The only problem was that we had to do so many of these activities apart. 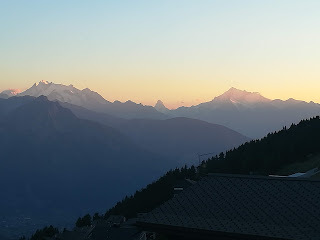 We’d initially gone up to Zinal for just two nights, based on the weather forecast, but when the run of sunshine continued, we kept extending for one or two more days at a time. What we didn’t count on, however, was Rose getting very, very sick on our second night after arriving. Lots of vomiting and diarrhoea, both containing blood, led to a series of sleepless nights in the motorhome. Since she also needed the toilet at least every couple of hours for several days, it was always necessary for one of us to stay with her. Thankfully, she did seem to be getting better very slowly, which is why we didn’t resort to the long, winding drive back to the nearest vets in the end, but it was a very difficult time, especially when some of the others started to then get slightly bad tummies as well so many of our nights in Zinal were disturbed. On the other hand, taking time to do our own thing a little more was also an opportunity. 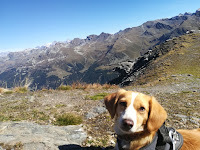 I got to do a lot more writing and Esther got to hike a lot more with some of the dogs. On many days I’d take a dog trail running for an hour or so while Esther did long hikes with some others. Each evening, as the sun went down, we’d take a trip up to the amazing swimming pool, although sadly usually apart until towards the end of our stay. Eventually, on our final day in Zinal, Rose was well enough to risk leaving for several hours, so Esther hiked up 1200 metres to the Corne du Sorebois with Leela and I ran up an hour or so later, meeting her at the top and saying farewell to Val d’Anniviers together before I ran back down and Esther and Leela enjoyed several more hours in that beautiful place. And then, suddenly, it was October. A rain-sodden forecast in the mountains motivated us to the leave Zinal and head back into the Rhone valley where we faced a choice. 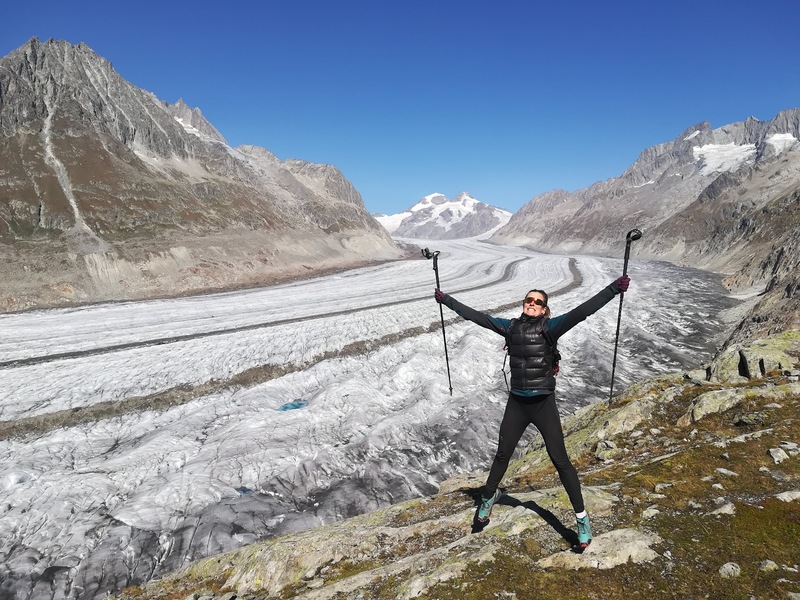 Hang around for a few days and see what the weather actually did, or believe the forecast and accept it was time to say farewell to the mountains of Switzerland for another year. 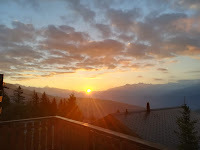 We changed our mind several times, as we are prone to do, but eventually settled on a late night drive out of Switzerland via Lac Leman and Geneva. Spending the night in the car park of an organic supermarket just inside the border of France, we reflected on what has been a magnificent summer. 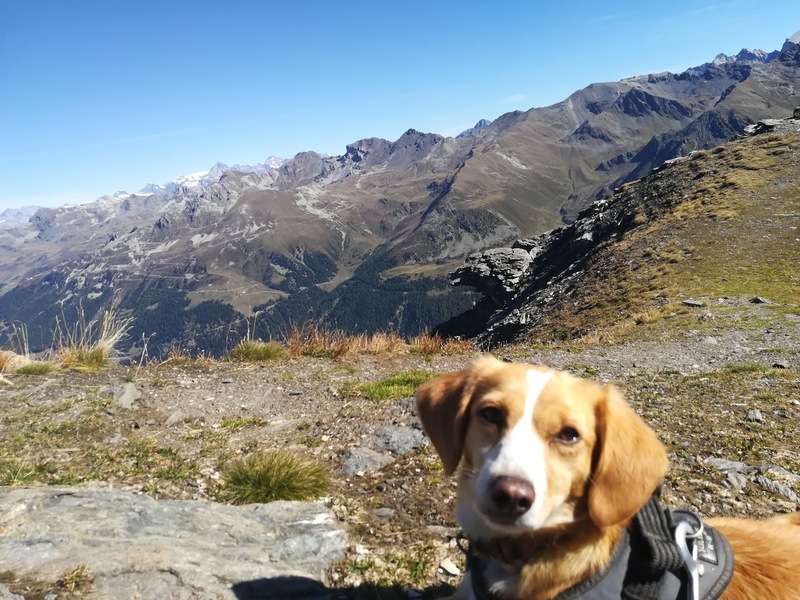 We’ve cycle up dozens of Swiss mountain passes, hiked in some of the most amazing scenery of the Alps and for the most part enjoyed perfect summer weather. 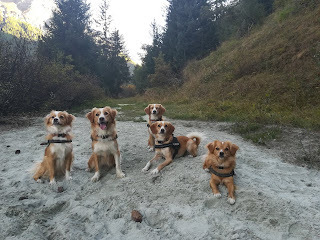 The dogs have been spoiled with remote, safe and quiet places to run their little socks off several times a day and even when we broke down, we stumbled across someone with a ‘spare house’ we could stay in. We really couldn’t have asked for more, and yet, if we’re completely honest, we’re both still wishing for a just a few more days of Switzerland. We know it’s not very mindful of us and that we should just be grateful for what we’ve had, but it’s very hard to leave.